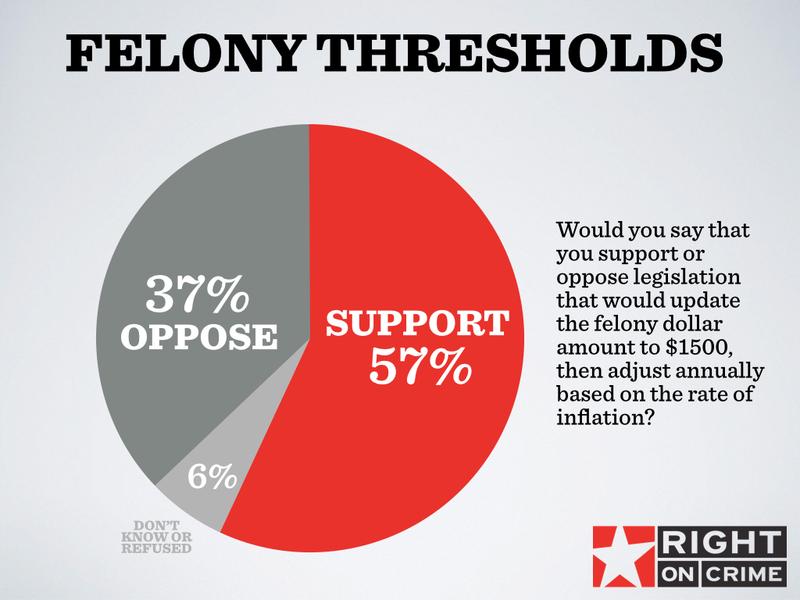 AUSTIN, Tx.—March 9, 2015—A new poll released today by Right on Crime, the nation’s leading conservative public policy campaign for criminal justice reform, shows voters strongly support criminal justice reforms in Texas. 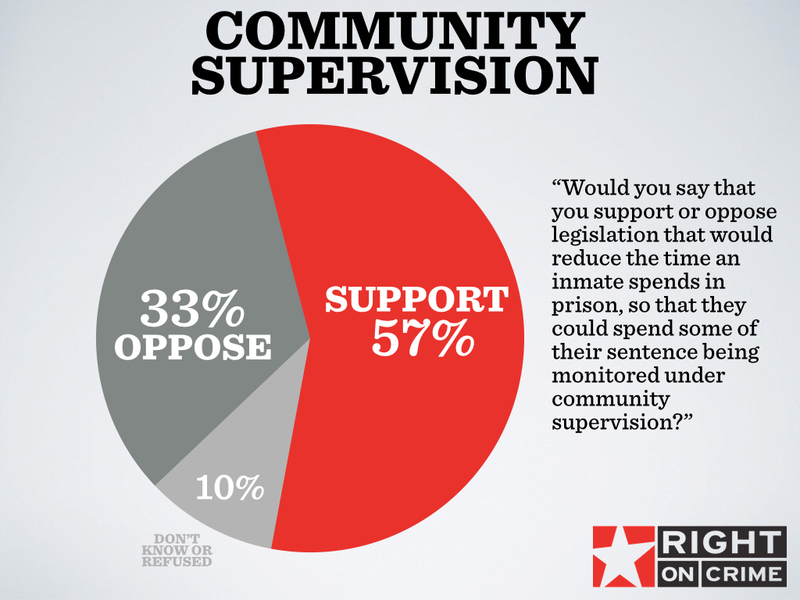 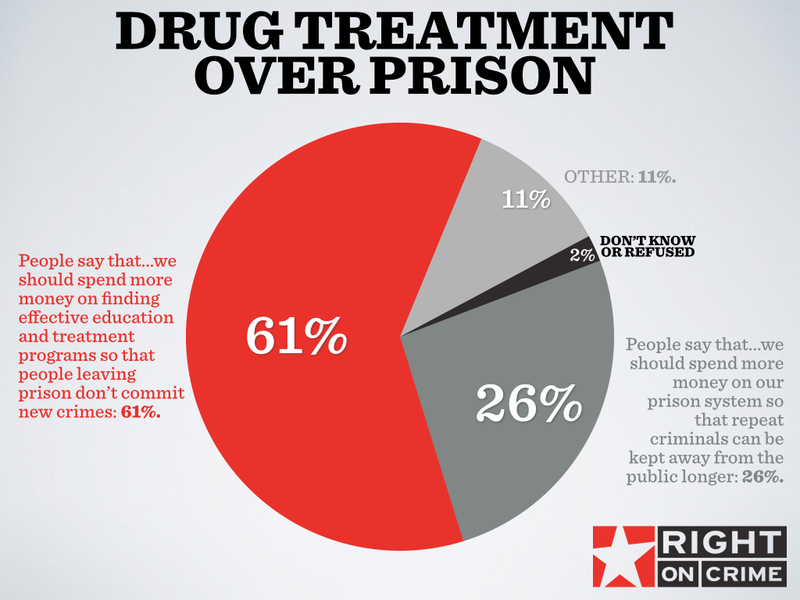 The poll conducted by Wilson Perkins Allen Opinion Research for the Texas Public Policy Foundation found that the vast majority of likely Texas voters want to hold more nonviolent offenders accountable in communities, make penalties proportionate to the crime, and ensure those leaving prison spend part of their sentence-under community supervision. 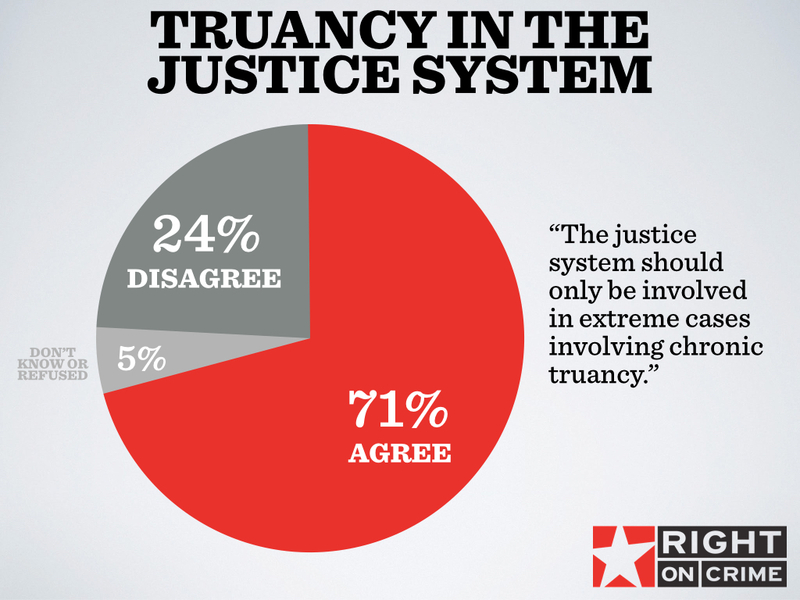 This session the Texas legislature has filed several bills addressing issues from the poll, which included questions on substance abuse education and treatment, felony thresholds, drug sentencing policy, and the criminalization of truancy.